Hey Joe, where you goin' with that gun in your hand? Hey Joe, I said where ya goin' with that gun in your hand? Hey Joe is an American popular song from the 1960s that has become a rock standard and as such has been performed in many musical styles by hundreds of different artists since it was first written. "Hey Joe" tells the story of a man who is on the run and planning to head to Mexico after shooting his wife. However, diverse credits and claims have led to confusion as to the song's true authorship and genesis. The earliest known commercial recording of the song is the late-1965 single by the Los Angeles garage band, the The Leaves; the band then re-recorded the track and released it in 1966 as a follow-up single which became a hit. Currently, the best-known version is The Jimi Hendrix Experience's 1966 recording, their debut single. The song title is sometimes given as "Hey Joe, Where You Gonna Go?" or similar variations. Folk rock singer Tim Rose’s slower version of the song (recorded in 1966 and claimed to be Rose's arrangement of a wholly traditional song) inspired the first single by The Jimi Hendrix Experience. The ex-bassist for The Animals, Chas Chandler, who was now focusing on managing other acts, had also seen Rose performing the song at the Cafe Wha? in New York City and was looking for an artist to record a rock version of "Hey Joe". Chandler discovered Jimi Hendrix, who had also been playing at the Cafe Wha? in 1966 and performing an arrangement of "Hey Joe" inspired by Rose's rendition. Chandler decided to take Hendrix with him to England in September 1966, where he would subsequently turn the guitarist into a star. Tim Rose re-recorded "Hey Joe" in the 1990s, re-titling it "Blue Steel .44" and again claimed the song as his own arrangement of a traditional song. 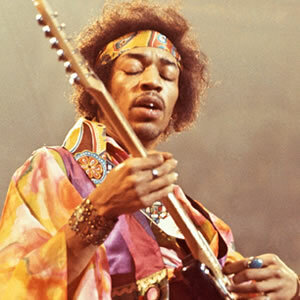 Some accounts credit the slower version of the song by the British band The Creation as being the inspiration for Hendrix's version; Chandler and Hendrix saw them perform the song after Jimi arrived in the UK, although The Creation's version was not released until after Hendrix's. It is unclear if the members of The Creation had heard Tim Rose's version. Released in December 1966, Hendrix's version became a hit in the United Kingdom, entering the Top 10 of the UK Singles Chart in January 1967 and peaking at #6. The single was released in the United States on May 1, 1967 with the B-side "51st Anniversary" but failed to chart. "Hey Joe", as recorded by The Jimi Hendrix Experience, remains the best known version of the song and is listed as #201 on Rolling Stone magazine's The 500 Greatest Songs of All Time. In 2009 it was named the 22nd greatest hard rock song of all time by VH1. "Hey Joe" was the last song Jimi Hendrix performed at the Woodstock festival in 1969 and as such, it was also the final song of the whole festival. The song was performed after the crowd, comprising the 80,000 who hadn't yet left the festival, cheered for an encore.